It’s not just about the beard – it’s about how you maintain it. Even the fullest, thickest, healthiest beards look lackluster when proper care falls under the bus. Fortunately, proper beard maintenance isn’t difficult to master. Though there are a lot of different factors that go into it, the most important two, regularly using beard shampoo and beard conditioner, are easy to learn. Simply put, using a top quality beard shampoo and conditioner on a regular basis will do wonders to increase the overall health of your beard. And a healthier beard is a better-looking beard. It’s a win-win no matter how you look at it. Below we discuss the ins and outs of beard shampoo and beard conditioner. These two products are essential for every bearded man to keep in their arsenal. We round out our discussion on basic beard maintenance with brief reviews of our opinion on the best beard shampoo and best beard conditioner. Do you have a beard? Great, beards are wonderful things! Do you spend time regularly maintaining it? If the answer to that question is no, then boy things have got to change! While some men view grooming products as feminine, we feel exactly the opposite. With just a few minutes of use per day, beard shampoo and conditioner not only make your beard look better, but it also makes it feel better as well. And what’s more masculine than a beard that both looks and feels great? Besides, you owe it to yourself as a man to give a little attention to detail. Not only is it a manly attribute, but others will notice (your boss, that gal you’ve got your eye on…). Simply put, you need to get over the fact that facial grooming has been traditionally seen as feminine. It’s just not true. Add in the fact that the average male adds half a millimeter to their beard length every day and it’s even easier to see why beard grooming is so vital. Indeed, understanding the proper care and maintenance of your beard is the key to stepping up your beard game to all new levels. Beard shampoo comes in all different shapes and sizes. At its core, it’s a specially designed concoction that helps you clean and maintains your beard. Though many men use normal shampoo on their beards with decent results, there are a number of reasons to opt for a special beard shampoo. Chief among these is that it’s designed specifically for facial hair. Because facial hair is so sensitive, beard shampoo is created to be as gentle and thorough as possible, to prevent irritation. Pretty much anyone with a beard will benefit from beard shampoo. Do you have a beard? Then you need to invest in a quality beard shampoo. This is especially true of those with long beards. However, it’s important to understand that beard shampoo benefits every beard owner, no matter their beards length. Simply put, most guys have no idea how smooth and soft those coarse, wiry hairs on their face can feel with the proper care and treatment. And beard shampoo is the easiest place to start. All that you have to do is apply a little per day and you’re all set to go. It doesn’t take a genius to understand how to use beard shampoo. The first step is, of course, to have a beard. The second is to take a small amount on your fingers (specific amount depends on beard length – but think dime sized) and gently massage it into your beard. Ensure that the shampoo is massaged all the way down to skin level. At this point, wash the shampoo off. That’s all there is to it. You’re finished shampooing your beard. So how often do you need to wash your facial hair with beard shampoo? We recommend no more than one or two times a week. Important point. Don’t over-shampoo, or it’ll strip your hair of the much-needed natural oils. Do this and you’ll keep your beard as soft, smooth, and clean as you can dream. Here on our website, we focus on the absolute best of the best. We’re not going to recommend any subpar products for you guys to use. We care about beards and we know you do, too. With that said, it’s a bit hard to break things down to a single best beard shampoo. There are just so many options available. And because of different scents and so on, they each appeal to different sorts of men. What we’ll do is give you our best choice in each of the 2 main categories of shampoo: bar and liquid. This is basically a bar of soap, but natural ingredients and full of beard rejuvenation power. In the shower, just rub the bar against your beard a couple of times, and then use your hands to work up a lather. It’s surprising how much shampoo you’ll get from a quick rub on your whiskers. With honey, multiple natural oils, seaweed extract, and even cocoa powder, you’re in for a treat when you use this. Looking for something closer to what you use on your head? A mixture of natural ingredients like aloe leaf extract and some specially formulated ingredients you may recognize from other hair products, this liquid product softens and detangles even the gnarliest of beards. It comes in multiple scents, but we were strangely fond of the Wild Berry one…I know, weird, right? Looking for a smooth, manageable, and fizz free beard? You’ve got to give this stuff a try. As its name implies, a beard conditioner is simply a grooming product that is used to condition your beard. Like hair conditioner, it’s often used in conjunction with beard shampoo. The end goal of a beard conditioner is to moisturize and improve the health of your beard. While doing this, it also makes your beard softer, smoother, and shinier by feeding it the nutritional oils that it needs. Many men also use beard conditioner to help style their beards. It helps you manage and control your beard rather than having your beard manage and control you. (Style? Yes. Most conditioners are otherwise called balms, and most include beeswax specifically for styling). In reality, there is no reason not to invest in a beard conditioner if you wear a beard. In addition to the many benefits discussed above, beard conditioner simply makes your beard that much is easier to manage. If you’re not concerned about look or feel, maybe you’re concerned with ease of maintenance. And then, on top of that, there is health. A clean and soft beard is a healthy beard. And a healthy beard means a healthier you. Beard conditioner is incredibly easy to use. All you have to do is put a dab on your finger, rub it into your beard, and then massage it all the way through. Be sure to massage it down to your skin. Depending on the type of beard conditioner you use, you may or may not have to wash it out. Some beard conditioners are designed to be left in, in the vein of beard balm. Others are more reminiscent of hair conditioners that need to be rinsed out after use. Be sure to carefully read the label of the particular product you’re using to see which route to take. There are so many different beard conditioners on the market that it’s incredibly difficult to narrow down our choice of the best beard conditioner to a single product. Virtu Beard Balm (Conditioner) by Liberty Premium Grooming Co. However, we always swear by Virtu from Liberty Premium Grooming Co. We strongly believe its one of the absolute best products on the market today. Though it’s dubbed a beard balm, this is just another name for a beard conditioner. So what’s to love about Virtu? For starters, its 100% handmade in the United States with the highest quality ingredients (including babassu oil and argan oil). On top of this, we’ve found that it actually works. If a thicker, fuller, healthier beard is what you’re after, then a thicker, fuller, healthier beard is what you’ll get when you use Liberty Premium Grooming Co.’s Virtu beard balm. Go ahead, try out the best beard shampoo and best beard conditioner we discussed above. Even those men that tend to shun grooming products will absolutely fall in love with beard shampoo and conditioner. Indeed, there is nothing even the slightest bit feminine about keeping your beard in tiptop shape. It is a beard after all. And a beard is a symbol of masculinity, power, wisdom, virility, and strength. So why wouldn’t you want to keep yours as healthy and great looking as possible? The key here is to experiment. Every man’s beard is different. The same goes for every man’s personal preferences. 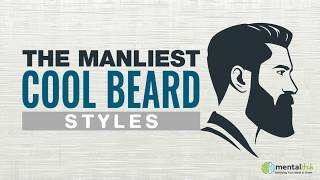 So try out a few different beard shampoos and conditioners to see which is your favorite. Though the two we reviewed above are the best of the best, you might find one that works slightly better for your own particular beard.